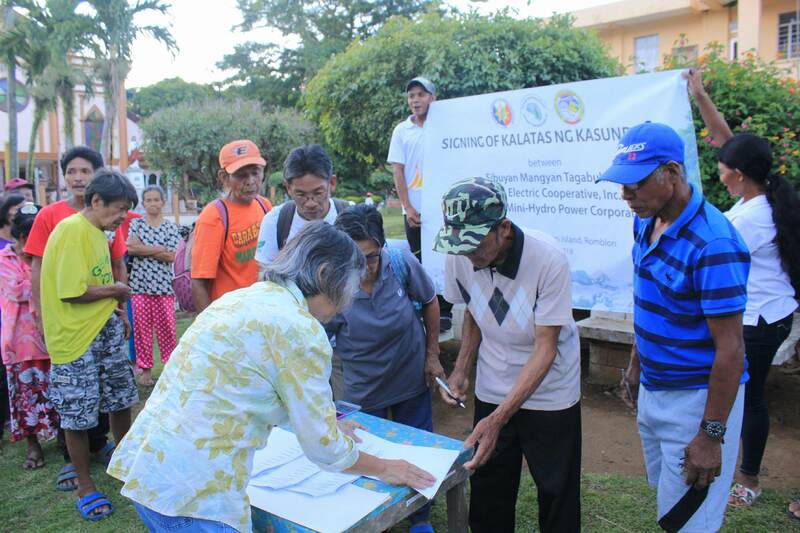 On April 21, 2018, the Sibuyan Mangyan Tagabukid (SMT), an indigenous people's group in Sibuyan Island, Romblon, entered into a Kalatas ng Kasunduan (Memorandum of Agreement) with Romblon Electric Cooperative (ROMELCO) and Cantingas Mini-Hydro Power Corp. (CHPC) for the energy project being operated by ROMELCO and CHPC inside the Ancestral Domain of SMT in Sibuyan Island. Creation of a Project Monitoring Team (PMT), comprised of SMT, ROMELCO and CHPC, and NCIP representatives who will monitor compliance to the agreement. 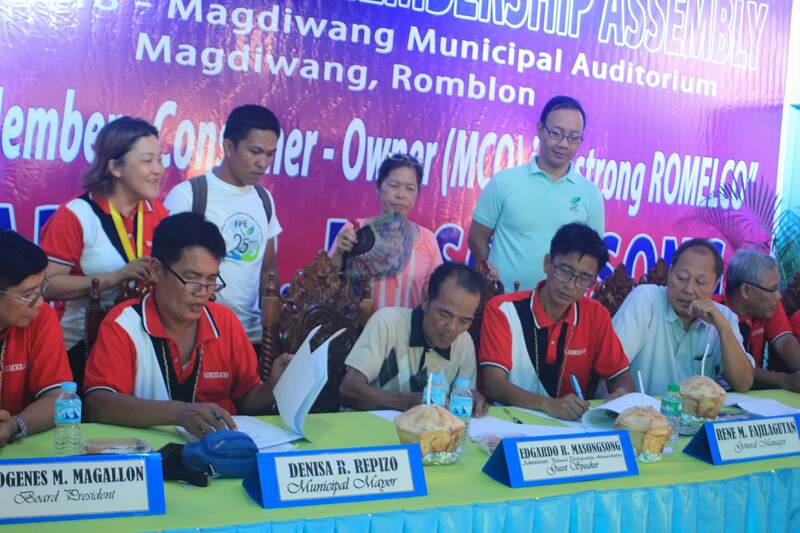 The Kalatas ng Kasunduan (agreement) was signed by the 32 elders comprising the Manughusay- Kamaguyangan (Council of Elders) for the Sibuyan Mangyan Tagabukid; Dioneges Hilario M. Magallon, President of ROMELCO and Engr. Rene Fajilagutan, General Manager of CHPC. Witnesses during the signing ceremony were SMT legal counsel Atty. Maria Vicenta de Guzman, FPE Executive Director Oliver Agoncillo, and NCIP OIC for the Sibuyan Service Center, Ms. Amor Roña. The signing of the agreement came about as the resolution of the 3-year old case filed by the SMT’s Manughusay- Kamaguyangan (Council of Elders) against ROMELCO in June 2015 due to the operation of the latter without the requisite Certification Precondition under the Free, Prior and Informed Consent (FPIC) process of the Indigenous People Rights Act of IPRA Law. Instrumental to the case of SMT is the research, “A Case study on Policy Gaps in the Implementation of Free, Prior and Informed Consent: The Cantingas Mini-Hydro Electric Power Plant” conducted in 2013 by FPE special project Mainstreaming Indigenous Peoples Participation in Environmental Governance (MIPPEG) in partnership with the Asosasyon ng Tribong Sibuyan Mangyan Tagabukid (ATSMT). 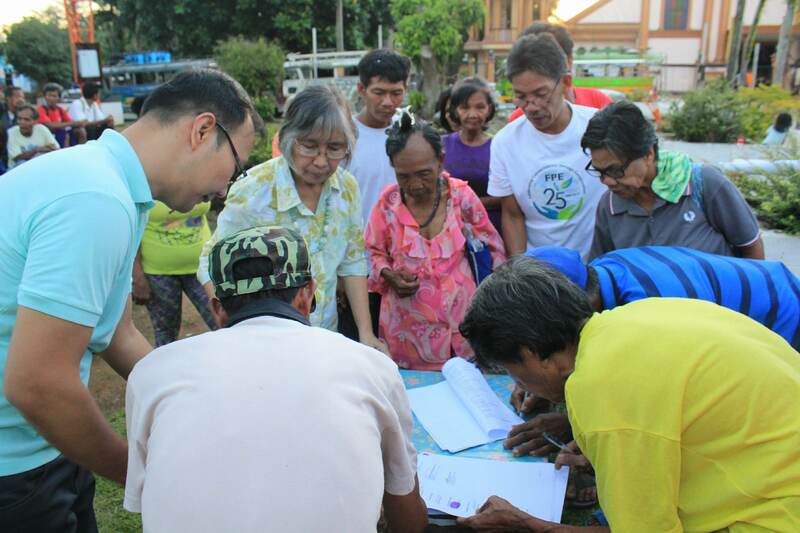 This agreement is another milestone in FPEs advocacy for the recognition of IP rights in watershed management and provide for a benefit-sharing mechanism for IPs/ICCs as host communities for energy facilities (related story: https://fpe.ph/news/energy-department-adopts-fpe-recommendations-recognizing-indigenous-peoples-rights-and-access-to-benefits-as-host-communities-of-energy-facilities).